It seems like I've been talking a lot lately. Sure, I've got plenty to tell you about our adventures on the East Coast, but it's occurred to me that you might appreciate a little break from listening to me ramble on. You might even appreciate a little change in topic. Maybe something from Vegas, or Hawaii, or maybe Disneyland. 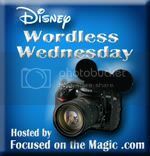 Some of my blog friends participate in a link-up on Wednesdays hosted by Debs at Focused on the Magic. It's called Wordless Wednesdays, and as near as I can tell, the concept is that you're supposed to post a picture that fits in with that weeks theme, and then not say anything about it. Hmmm...well I've already blown the whole "Don't say anything" part of the deal, but realistically that was never going to happen anyways. What I guess we'll do now is move on and try to participate in the spirit of the event, even if we've already broken all the rules. So here we go. The theme for this week's Wordless Wednesday is: Adventure. We've had tons of adventures on our countless trips to Disneyland, but the ones that stick out the most are the moments we experienced something for the first time. 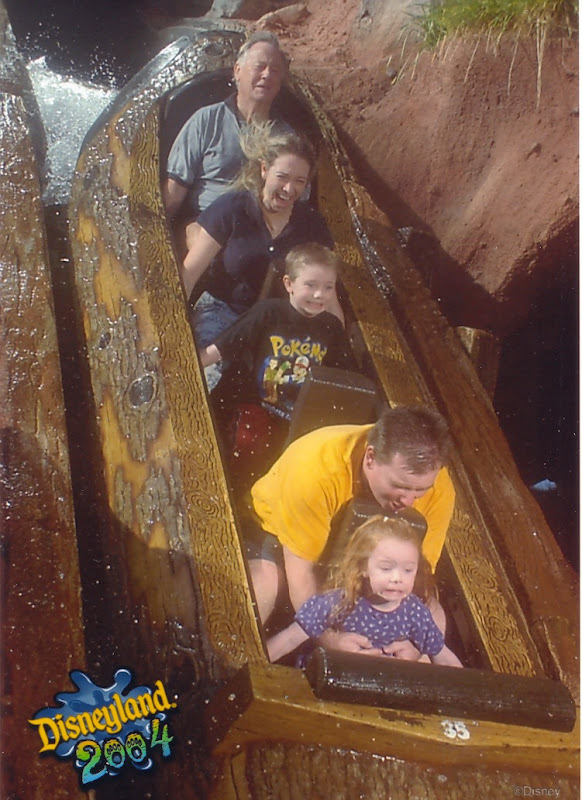 Thus, I take you back to 2004 and my kids first time riding Splash Mountain. Adventure: Sometimes you get more than you bargained for. OK, that wasn't too hard, but believe it or not there's people out there who can actually follow all the rules of a blog link-up. Go ahead and click on the button below and take a look at some of the great stuff that people have posted without feeling the need to write a small book to explain them.